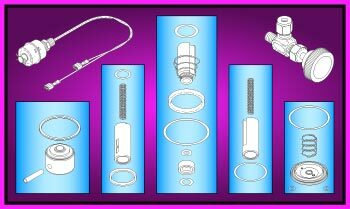 New Parts to fit Air Techniques AirStar® Dental Compressors! 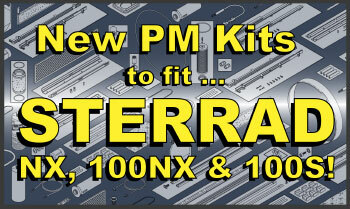 Eight New PM Kits to fit Sterrad NX, 100NX and 1000S Sterilization Systems! New Foot Controls to fit DENTSPLY Cavitron® Ultrasonic Scalers! 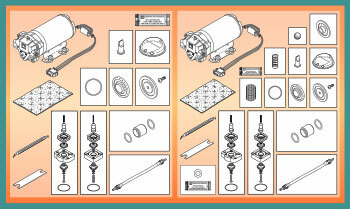 New Parts to fit DentalEZ® Osprey™ Dental Compressors! 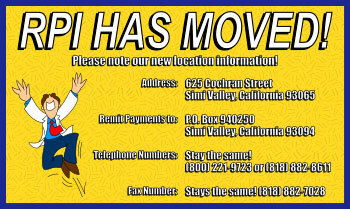 RPI Has Moved... to Our New Location! 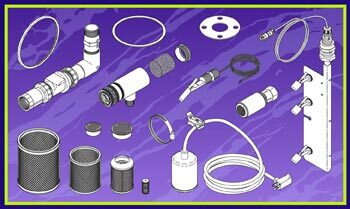 New PM Kits and More to fit Medivators® DSD-201® and DSD Edge® AER Systems! 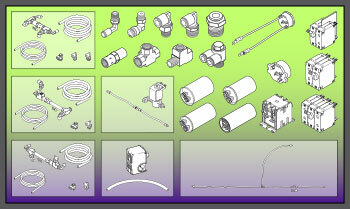 New Line of Parts to fit Medivators® DSD-201® and DSD Edge® AER Systems! New Parts to fit DENTSPLY Cavitron® Ultrasonic Scalers! It's Back and Better Than Ever ... The Lamp Shield to fit the A-dec 6300 Series Dental Light Head! 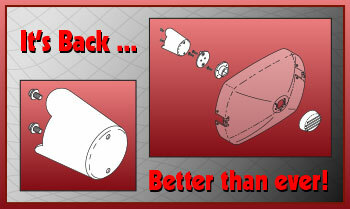 More New Parts to fit Midmark® • Ritter® Exam Tables and Chairs! 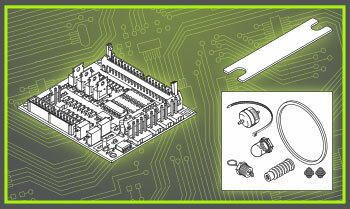 New PC Board (AJUNC-3) and Sterilizer PM Kit to fit Tuttnauer® Table Top Sterilizers! Featuring LCD Displays, Boards, and more to fit Tuttnauer® Table Top Sterilizers! 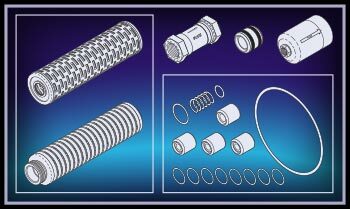 New Parts to fit Dry and Wet-Ring Dental Vacuum Units! 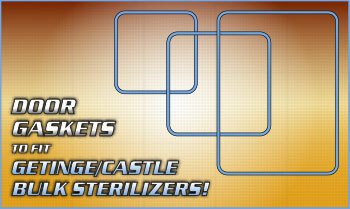 RPI is Your Best Source for Door Gaskets to fit Getinge/Castle Bulk Sterilizers! Instrument Trays, Racks, and Plates to fit Midmark® • Ritter® M9 & M11 UltraClave® Sterilizers Now Available! 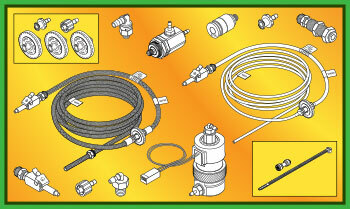 New Line of Parts to fit Sterrad NX & 100S Sterilization Systems! Even More New Parts to fit Dental Vacuum Units! 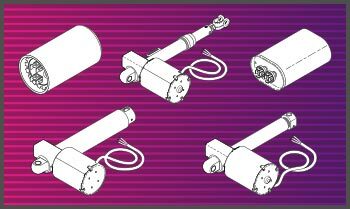 The Door Motor Assembly and More to fit Midmark® • Ritter® M9 & M11 UltraClave® Sterilizers Now Available! RPI 2016 Planned Maintenance Poster is Here! 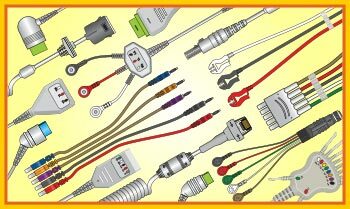 "Stay Connected With RPI Power Cords & Plugs!" The RPI 2016 Planned Maintenance Poster is here! 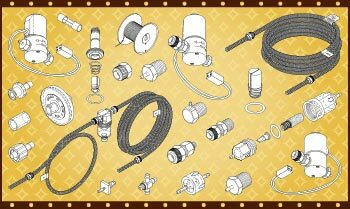 Power cords and plugs can be overwhelming with respect to all of the codes, ratings and standards that apply. 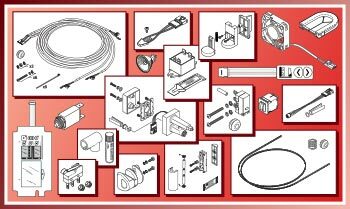 Knowing the different types and ratings of power cords and plugs is essential for determining the right cord for any piece of equipment in any given environment. 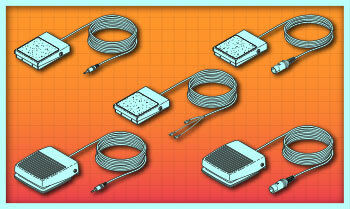 Explore what it means for a power cord to be "Hospital Grade". Understand the importance of the NFPA, electrical standards, and ratings. Master how to decipher the alphanumeric codes that identify power cords. 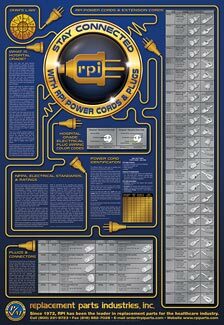 Find out how easy it is to stay connected with RPI Power Cords and Plugs using the 2016 RPI PM Poster. To obtain a poster, please use our Poster Request Form. Available to qualified businesses*, while supply lasts. Offer void where prohibited. *Service and Support facilities, Hospitals, Laboratories, Blood Blanks, Military Bases, Manufacturers, Distributors or Businesses with ongoing planned maintenance requirements for healthcare equipment. New Parts to fit Midmark® • Ritter® Exam Tables and Chairs! 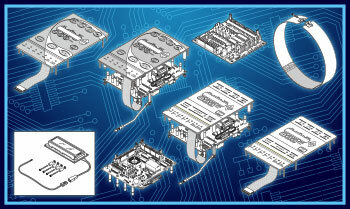 New Actuators and Capacitors to fit Midmark® • Ritter® 411 (75L) Series Exam Tables! 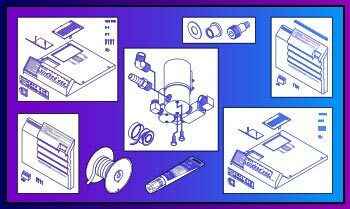 Featuring More New Parts to fit SciCan® StatIM® Series Cassette Sterilizers! 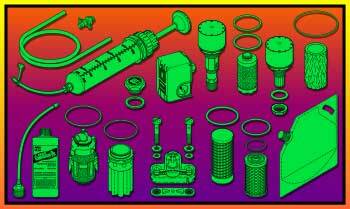 For a complete listing of parts to fit the SciCan StatIM G4 2000 Click Here. For a complete listing of parts to fit the SciCan StatIM G4 5000 Click Here. More New Parts to fit Dental Vacuum Units! 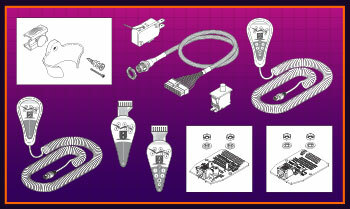 New Line of Parts to fit DENTSPLY Cavitron® Ultrasonic Scalers! 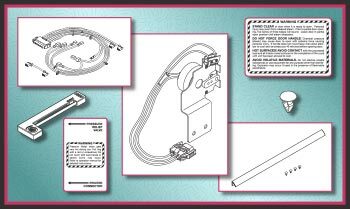 New Parts to fit GE•Ohmeda Giraffe® Infant Incubators and OmniBed®! 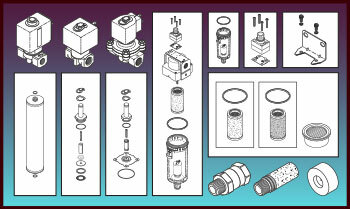 New Parts to fit Steris® System 1E® Sterile Processing Systems! 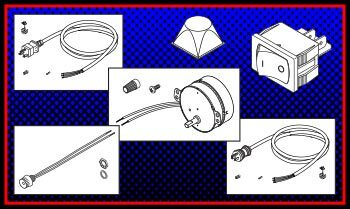 New Line of Parts to fit Beckman/Iris StatSpin® Centrifuges! RPI 2015 Planned Maintenance Poster is Here! 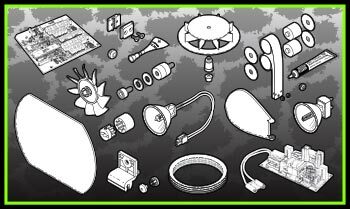 "Be a Detective When Troubleshooting Equipment!" The 2015 Planned Maintenance Poster is here! 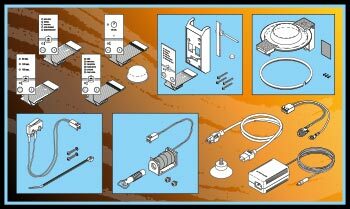 Equipment maintenance and malfunctions don't have to be a mystery. 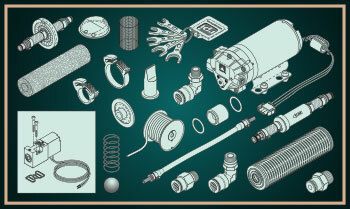 Follow the advice of this year's PM Poster and become a detective when troubleshooting equipment. 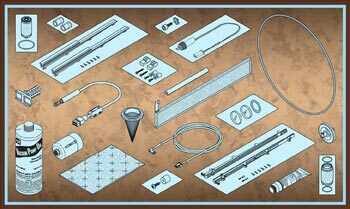 Learn the 5 steps to solving any mysterious equipment mayhem and find out some great service tips from some of the best troubleshooting detectives. Go ahead and put your sleuthing skills to the test on your next service call!! 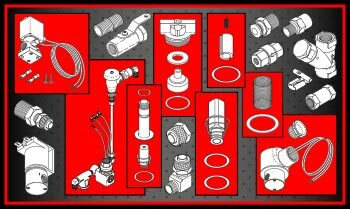 New Line of Parts to fit Dental Vacuum Units! 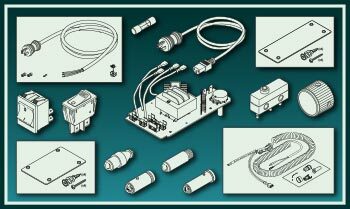 New Line of Parts to fit Covidien/ValleyLab Electrosurgical Units! 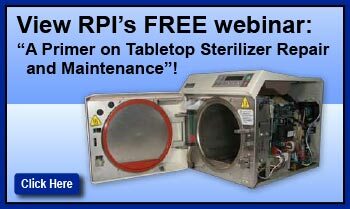 View RPI's First Webinar on Tabletop Sterilizers! 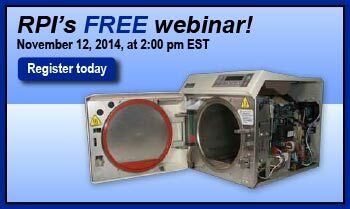 You're Invited to Participate in RPI's First Webinar on Tabletop Sterilizers! 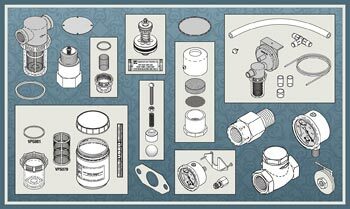 RPI 2014 Planned Maintenance Poster is Here! 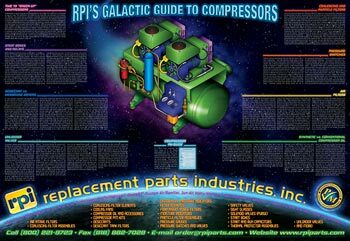 "RPI's Galactic Guide to Compressors"
The 2014 Planned Maintenance Poster is here!RPI's Galactic Guide to Compressors is a colorful tribute to the compressors that are found in many hospital, medical, and dental facilities. Explore the many aspects of the compressor and learn how scheduled planned maintenance can help keep your machine running like new. 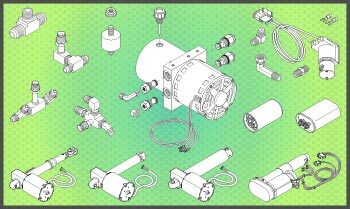 Discover the difference between Desiccant and membrane dryers, comprare synthetic vs. conventional compressor oil, explore coalescing and particle filters, pressure switches, air filters, start boxes, relays, unloader valves and more! 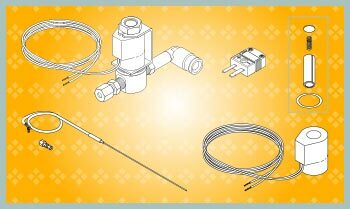 New Solenoid Valve Repair Kits and More to fit Getinge/Castle Bulk Sterilizers! 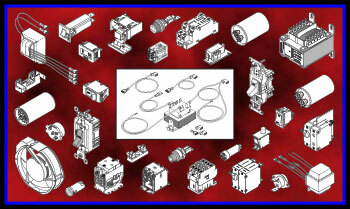 New Line of Parts to fit Welch Allyn Wall Transformers! Top Covers, Door Panels, and More to fit Old Style Midmark® • Ritter® M9 & M11 UltraClave® Sterilizers Now Available! More New Parts to fit Dental Compressors!! 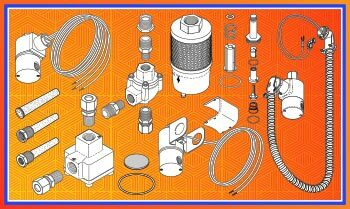 New Line of Parts to fit Clay Adams & Labnet International, Inc. Nutators and Rotators! 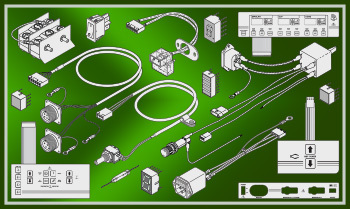 New Patient Cables and Leadwires are in Stock and Ready to Ship! 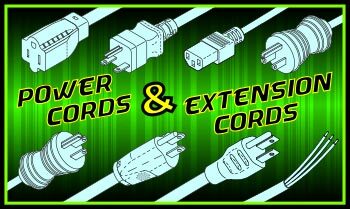 RPI is Your Best Source for Hospital Grade Power Cords and Extension Cords! 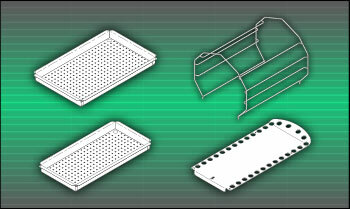 New Parts to fit Ohmeda•GE Giraffe® Incubators and OmniBed®! 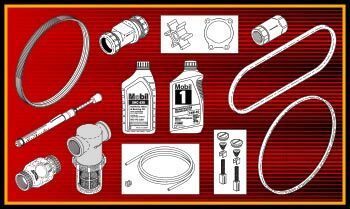 New Parts, Tools and PM Kits to fit Dental Compressors! 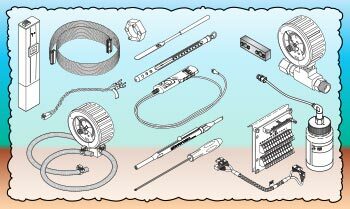 RPI Has the Best Tools to Make Your Job Easier!